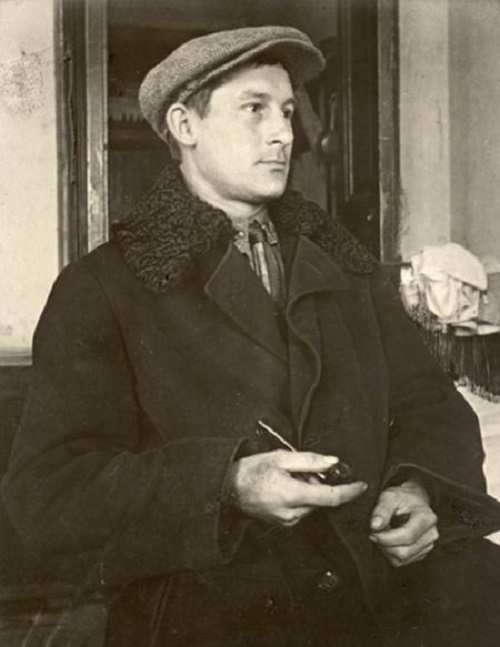 Soviet artist Boris Milovidov (12 November, 1902 – June 17, 1975) – member of the USSR Union of Artists (1937), Artists Union of RSFSR, Honored Worker of Culture of the RSFSR (1973), Veteran of the Great Patriotic War (1941-1945). 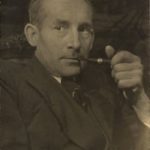 Boris Milovidov was born on November 12, 1902 in Saratov. According to his memoirs, he has always wanted to become an artist. 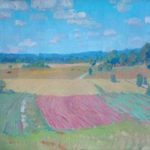 Aged 16, he entered Higher State free art workshops (Saratov), which by the time of graduation in 1926 were converted into Art College. 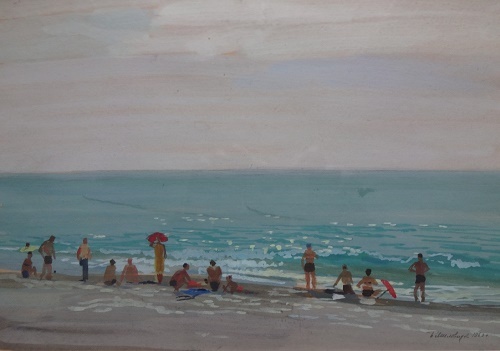 While a student, he studied the realistic traditions of the Soviet Art school. And in particular, the Saratov art school, originating from the realist school of Wanderers times. And just after graduating, he began working as a teacher. In his Alma mater, Saratov art college, he had worked for more than 40 years. 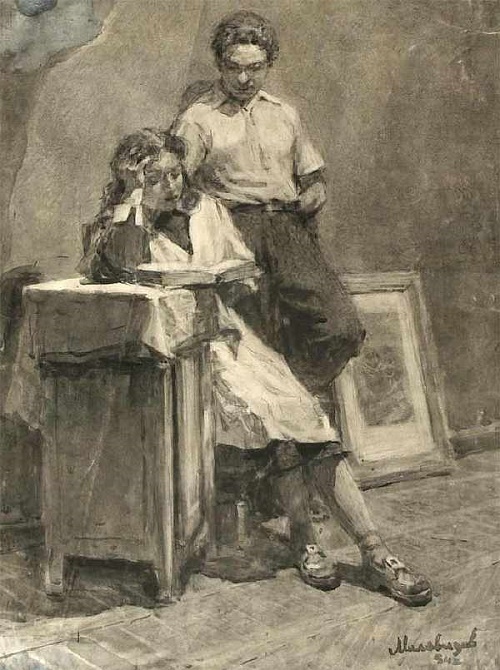 He taught decorative drawing, painting and lithography until 1963. 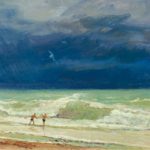 Boris Milovidov – an artist of a wide creative range. 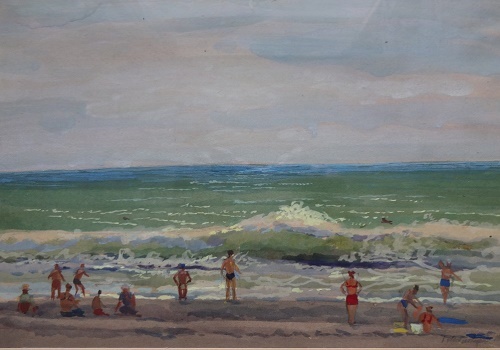 He worked in oil and tempera painting, gouache, watercolor, mixed media, graphics (using pencil, ink, Chinese ink, sauce, wet charcoal, and pen), studied lithography, book graphics and posters. At the same time, Boris Milovidov worked in the field of book illustrations in the Volga publishing company. To sum up, he illustrated more than 150 books of fiction and non-fiction literature. 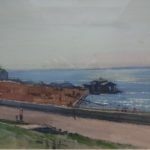 In addition, he was one of the organizers of the cooperative association “Artist” in 1930, and the Saratov organization of the Union of Artists. 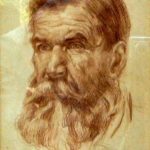 Besides, from the first days of the war, during the war time and after returning to Saratov, Milovidov was one of the authors of the “Agit-window” posters. 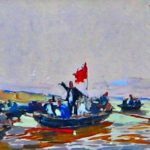 The master of the poster, animal painter, and graphic-illustrator Boris Milovidov is the author of several thematic paintings, including sets of Volga landscapes, and still lifes. The constant participant of regional, zonal, and personal jubilee exhibitions. The schedule – . However, the first big picture of Milovidov – “Pioneers of Model Aeronautics’ (1934). The idea was born as a result of his frequent visits to the nearby pioneer camp, located outside the city, at dacha area. The artist’s family spent there the summer, renting a house in the thick forest. The camp had a good tradition to invite guests to their night bonfires. A large bonfire on the meadow, next to the birch forest flashed in the night sky. Around the fire took their seats the children – they performed a concert. Father watched and made drawings. 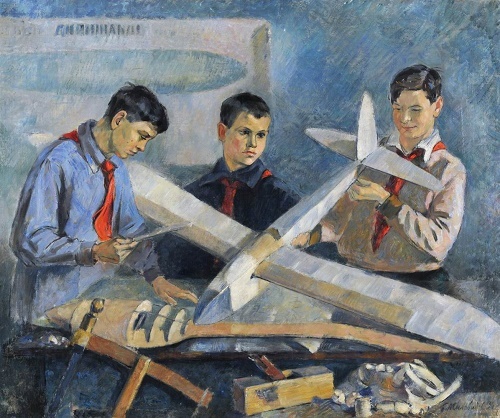 Upon returning to Saratov he used to paint the pioneers attending the Pioneer model aircraft club. Among the students of Milovidov – representatives of Soviet Art, People’s artists and honorary artists of the USSR and RSFSR, such as R.L. Lavrinenko, P.A. Grishin, N.P. Semenova, and O. Fomichev.